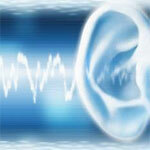 Nerve Deafness - A Culprit Behind Sudden Hearing Loss? Nerve deafness can strike suddenly within minutes or overnight, or it can develop and progress overtime, at first being accompanied by high frequency hearing loss or inability to hear higher musical notes, a voice of a woman or a small child. A lot of patients seeking <tinnitus treatment, simply ringing in one ear, or cases of industrial deafness might develop nerve deafness later on. Nerve deafness is a part of sensorineural hearing loss meaning the cause for it is the damage to the auditory nerve or a cochlea, a tiny snail like structure in the inner ear. The hearing aids are not prescribed for nerve deafness because the sounds entering the ear can not be properly recognized by the brain due to the cochlear nerve damage. Recovery with sudden hearing loss does happen but only to a very small group of people and only in the first 3-4 weeks following the onset of nerve deafness. The causes for temporary hearing loss are usually obstructions in the ear canal caused by ear wax build up or inner ear fluid retention due to a bad case of cold or flu. If you experienced unfortunate nerve deafness in one ear, it’s vital for you to employ measures that will allow you to conserve hearing in a healthy ear by avoiding noisy environments, wearing hearing protection gear if exposed to high levels of noise, staying away from medications that might adversely affect your hearing unless absolutely necessary.